I love desiccated coconut. Sometimes I just eat it on its own, as a snack. In this cake I added one scant cup. 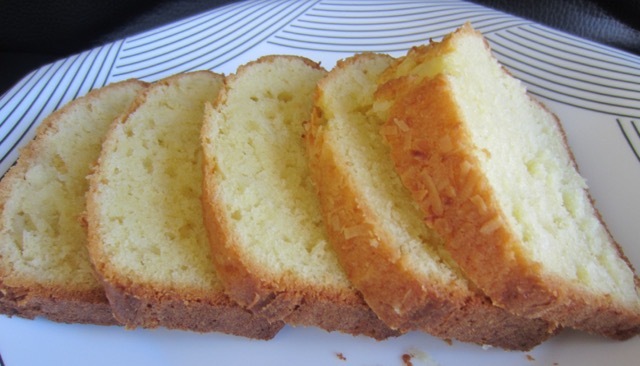 The whole cake was deliciously infused with coconut. You can reduce the coconut to half a cup if you want. It’s entirely a matter of personal choice. I wish you a very pleasant Sunday. Sift or whisk the flour and baking powder. Stir in the coconut and set aside. 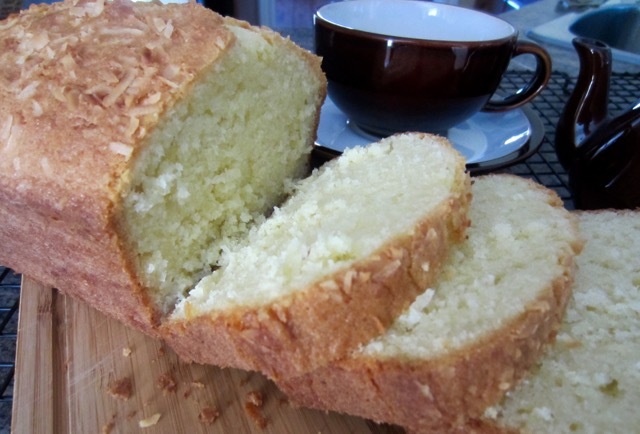 Cream the butter, sugar and coconut cream until light and fluffy. Beat in the eggs, one at a time and beat until fully incorporated. and bake 50-70 minutes until a skewer inserted comes out clean. Sift or whisk the flour and baking powder. Stir in the coconut and set aside. Grease and flour or grease and line a 9 x 5 inch (23 x 13 cm) loaf pan. Preheat the oven to 325ºF (160ºC) ten minutes before using. 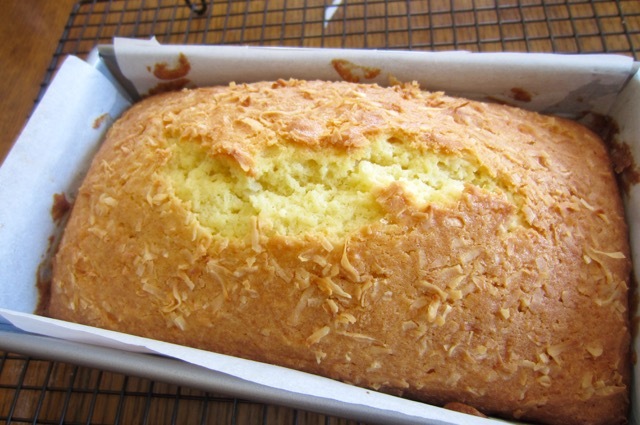 Cream the butter, sugar and coconut cream until light and fluffy. Fold in the flour in two batches. Spoon the batter into the prepared pan and level the top. 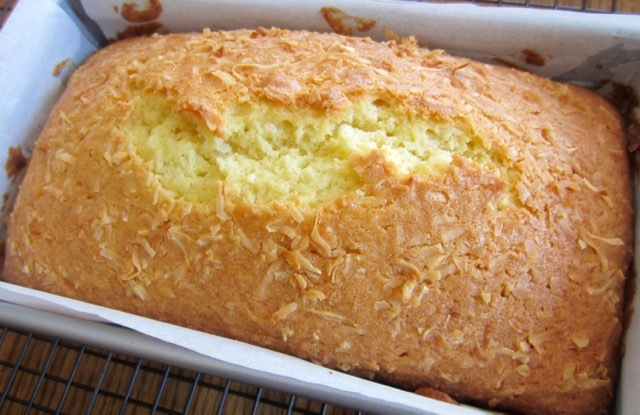 Sprinkle with the extra coconut and bake 50-70 minutes until a skewer inserted comes out clean. Leave in the pan for 15 minutes then transfer to a cooling rack. Next What is Cavolo Nero? 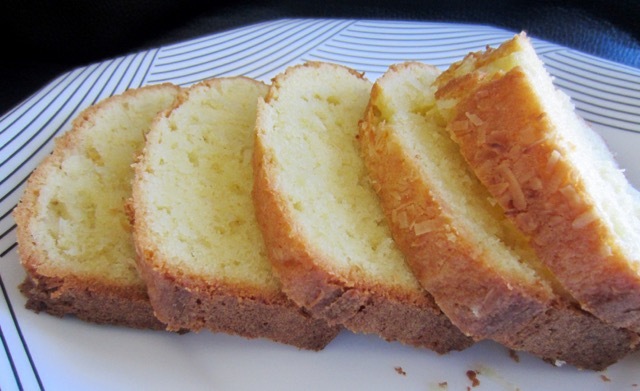 The pound cake looks and sounds delicious, Liz. I LOVE coconut! 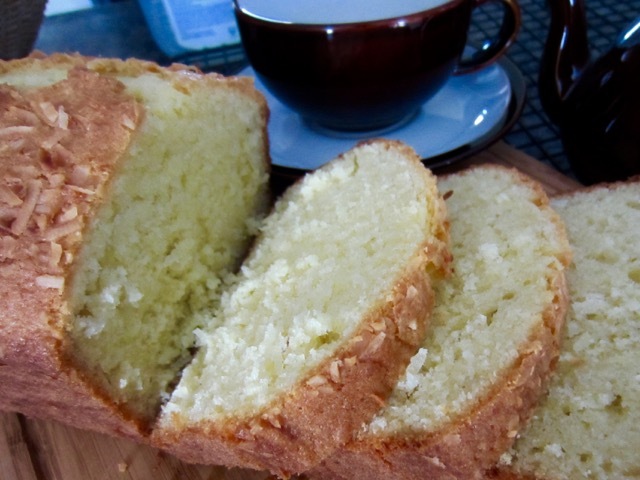 I will have to try this with gluten-free flour, ghee and less sugar and see how it turns out. Thanks. Please give me a feedback if you do! I love everything, coconut. Have a pleasant day! Coconut is my favourite ingredient. My mother used to cook special meals with coconut. It’s dear to my heart. Enjoy the week!